All aboard the Alphabet Express Remote Control Train! 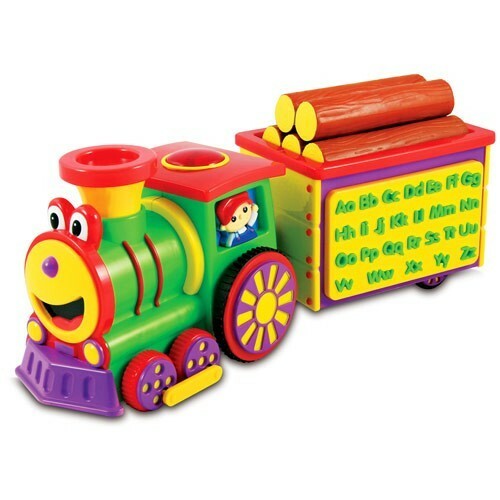 This interactive learning train features a friendly voice that teaches youngsters all about the alphabet. Sing along with the ABC Song or press the alphabet buttons to hear the letters. Kids can use the infrared remote control (which works from up to 12 feet away) to conduct Alphabet Express forward and backwards! Colors may vary. Requires five AA batteries. 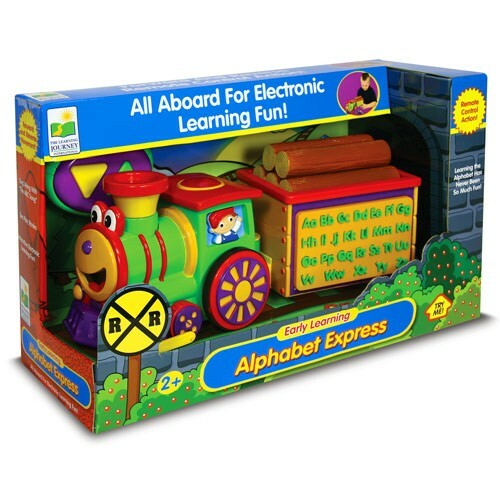 Dimensions of package 0.0875" x 0.1475" x 0.0525"
Write your own review of Alphabet Express Remote Control Train.